The CAC Winjeel, an Aboriginal word meaning “young eagle”, was developed to meet a 1948 RAAF specification for a basic trainer to replace both the Tiger Moth and Wirraway then in service. First flown in 1951, the Winjeel suffered a prolonged development period, which delayed it’s entry into service until 1955. Constructed of stressed aluminium structure, and with fixed undercarriage, the Winjeel had side by side seating, with provision for a third seat in the rear to allow for intended training of two pilots at a time. Much of the development problems related to handling problems, and in particular its spinning characteristics. Eventually a total of 62 aircraft were built and served as the RAAF’s basic trainer for over 20 years. A planned retirement due to introduction of an all jet training scheme in 1968 was abandoned, and the Winjeel maintained its training role until replaced by the CT-4 Airtrainer in 1975. However this was not the end of RAAF service for the type, with 4 operational aircraft and others held in store for rotation, being used for Forward Air Control training. The Winjeel was finally retired from the RAAF in 1994, when it was replaced in the role by Pilatus PC-9 aircraft, ending a service period of nearly 40 years. 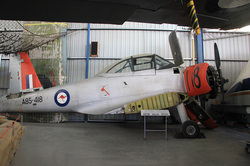 The Museum’s Winjeel was built by the Commonwealth Aircraft Corporation in March 1956, and spent its entire life with No 1 Basic Flying Training School first at Uranquinty NSW and later known as 1 FTS at RAAF Base Point Cook where it accumulated over 6000 flying hours training recruit pilots. 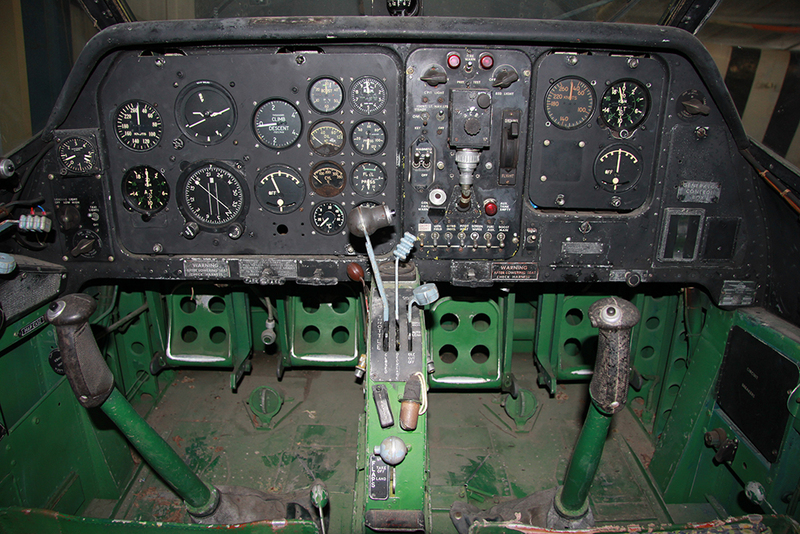 It was retired in 1977 and passed into private ownership before being acquired by the Museum in 1982. Although suffering development problems, the Winjeel become known as a stable, reliable and rugged training aircraft and a number of Winjeels continue to fly with private owners.